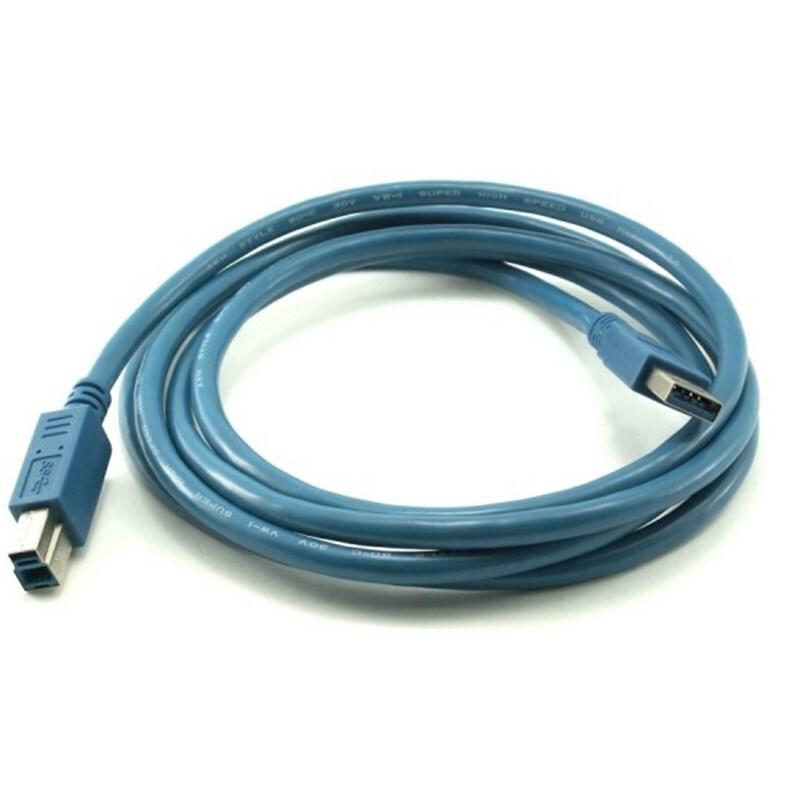 USB 3.0 A to B cable connects a high speed printer,desktop external hard drive,USB docking Station,HDD tower Station and with USB 3.0 B port to transfer date's devices. Enjoy SuperSpeed USB 3.0 data transfer rate up to 5Gbps 10x faster than USB 2.0. Premium Type B USB 3.0 cable engineered with molded strain relief connectors for durability and grip treads. Compatible with Fujitsu ScanSnap iX500 scanner,Dell S2340T monitor,Dell USB 3.0 docking station,HP USB 3.0 port replicator, and Western Digital (WD) and Seagate desktop USB 3.0 external hard drives with Type-B USB 3.0 port. A-B male wire with 18 months Limited Warranty and Product Support.